The first landmark that I visited as soon as I landed in Los Angeles on my third day of my California-Mexico trip was the California Science Center. Right after checking in my hostel and getting settled down I went to the subway and found my way to the museum. The California Science Center is located in Exposition Park, which comprises of museums and other landmarks that include the Natural History Museum, the Coliseum, the Rose Garden, and the Sports Arena. 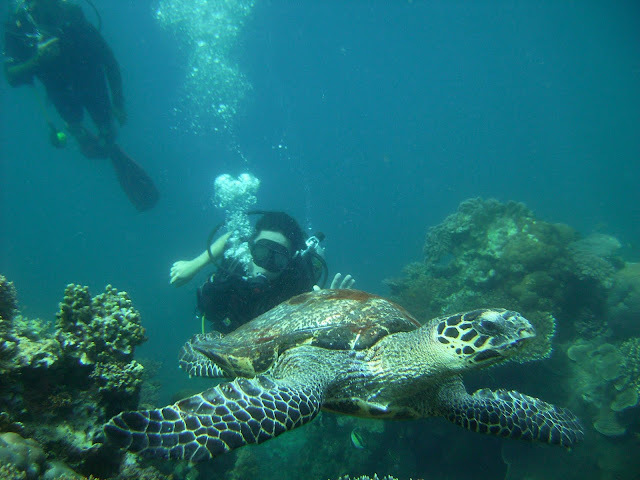 The Science Center was established in 1951 but was remodeled in 1998 to its present setup. As a geek who wouldn't pass up the chance to visit a science museum, there are actually three things that I wanted to see in this museum: first, the only surviving prototype of the F-20 Tigershark fighter jet; second was the engineering prototype of the Mars Viking Lander (NASA sent the other one to Mars in 1976); and third, the Space Shuttle Endeavor. This will be the second space shuttle that I'll see, the first one being the Enterprise in the Intrepid Museum in New York. 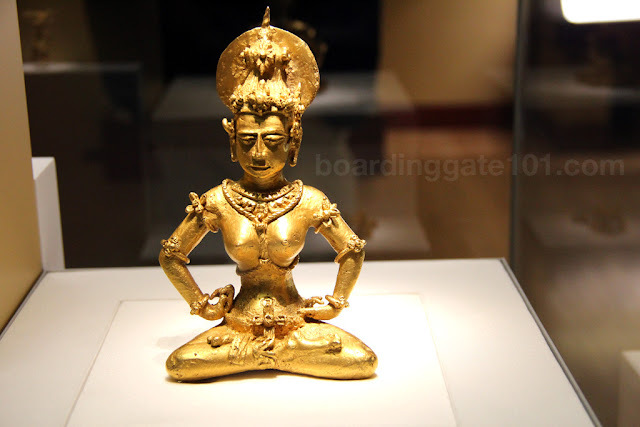 I arrived in the museum about 3 pm and I proceeded immediately to the entrance, which is free. On my way there I got a glimpse of the A-12 spyplane that was displayed near the parking area, and another aircraft, the full-sized DC-8 jetliner, mounted and displayed in front of the Science Center School. 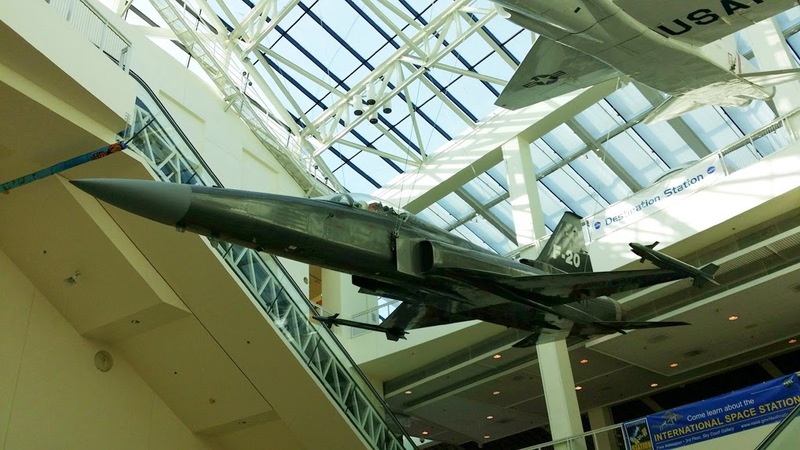 At the lobby I can see suspended in the ceiling the F-20 Tigershark and beside it, a T-38 Talon trainer jet. The first exhibit that I went to see was, naturally, the Air and Space exhibit, in the second floor. Displayed there were basically some of the biggest stars of space exploration. 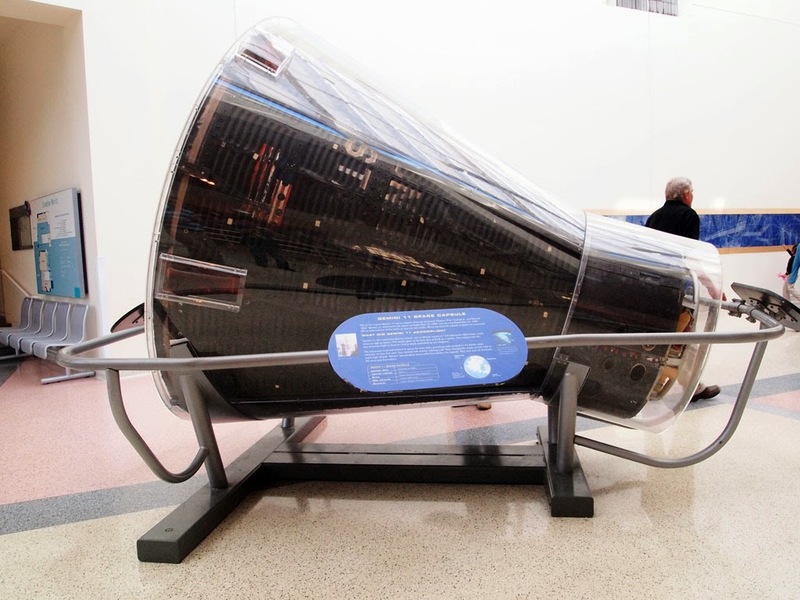 I saw the Gemini 11 capsule, which performed the first direct-ascent rendezvous with another spacecraft. The Apollo-Soyuz Test project command module, which was a joint US and Soviet flight, was also feature. Both spacecraft were encased in clear plastic skin to help preserve the artifacts, but you can get near them and peek inside. There was also the Mercury-Redstone capsule, which carried a chimpanzee to space. 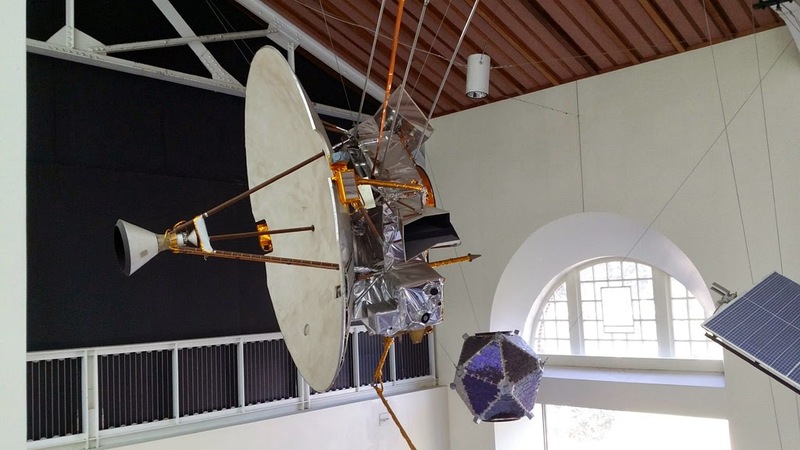 Hanged overhead were mockups of spacecrafts such as the Casinni-Huygens planetary probe (the one that went to Saturn), and the Pioneer 10 spacecraft (which flew to Jupiter and is the first spacecraft to leave our solar system). 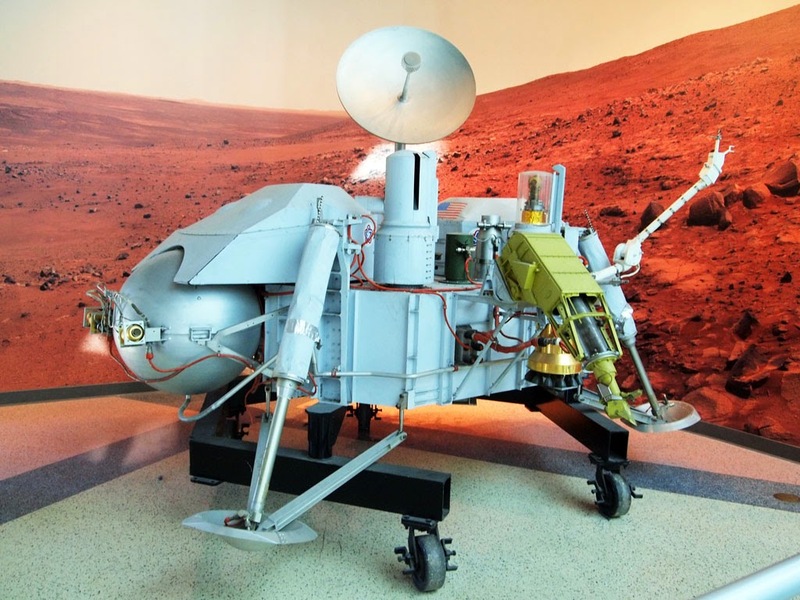 Right in the corner was the Mars Viking Lander prototype (top photo). It was smaller that I imagined it to be, but the robotic craft was impressive to say the least. Its sibling made a soft landing on Mars in 1976, and sent the first clear image of the surface of the Red Planet. The robotic arms then dug the Martian soil and performed biological experiments to find out if there's life on Mars. From the Air and Space section I actually bypassed some of the other exhibits on biology and ecosystem on my rushed excitement to get to the Samuel Oschin Pavilion, where the space shuttle Endeavor - which was the replacement of the ill-fated Challenger - is housed inside the cavernous hall. I tried to get near as I can to the shuttle, which is basically under the wings. I can make out the heat-resistant tiles that shield the craft during re-entry, and most of the portholes, nozzles and engine are visible. There were lots of visitors milling around, taking pictures and marveling at the engineering feat in front of them. 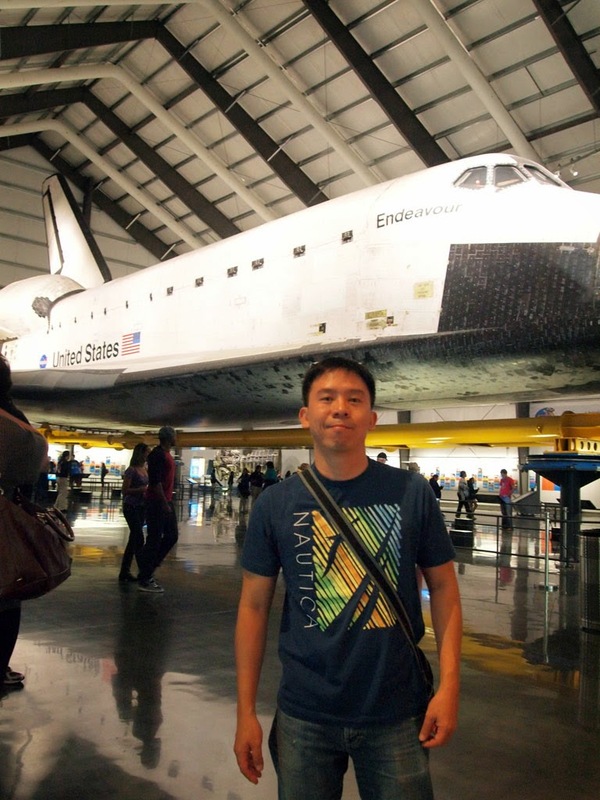 I ask another visitor there to take a photo of me in front of the shuttle, as a memento. For me, seeing the shuttle is like visiting another monument or ancient wonder, and the fact that I love astronomy and space stuff made it twice as satisfying. 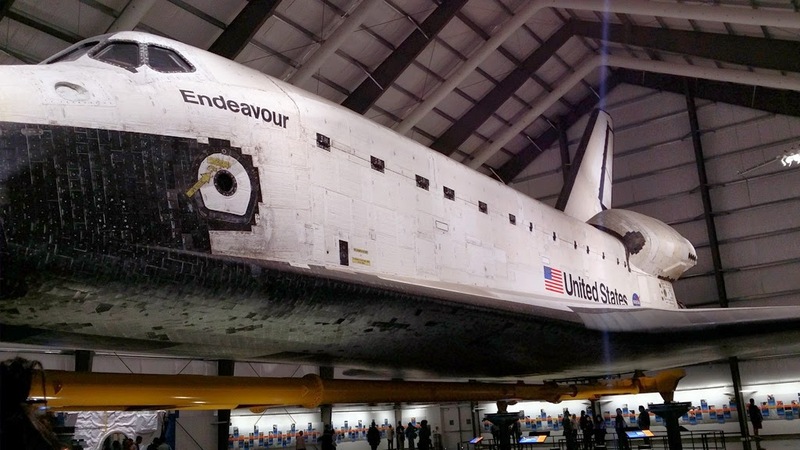 After getting my fill of gawking at the spacecraft I went ahead with the rest of my itinerary for the day, which includes a swing to the Natural History Museum and to the Staples Center, to see the Los Angeles Lakers play the Boston Celtics. The Science Center is located in the Exposition Park, between Figueroa and 39th streets. If taking the Los Angeles Metro, get off Expo Park/USC station of the Metro Expo Line. Entrance to the Science Center is free, except to the IMAX theater. The museum is open daily, except on Thanksgiving, Christmas and New Year's Day, from 10 am to 5 pm. 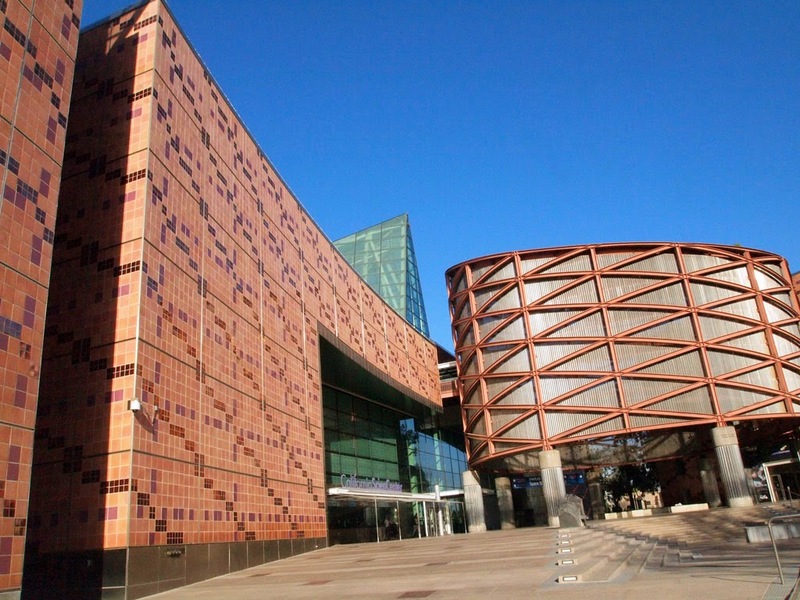 We've always been dreaming of entering science museums like these! You are very lucky!